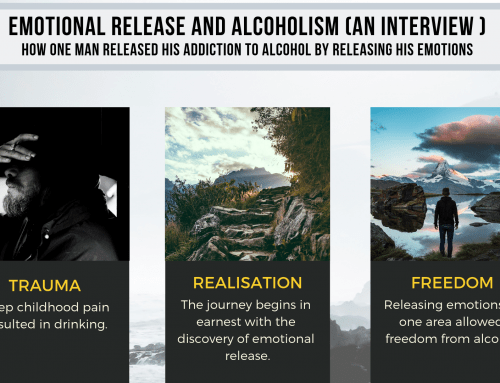 Why emotional release meditation? Your inner emotions have a huge impact on your current emotional well-being. Negative feelings acquired from difficult experiences in the past leave us with fear, anger, guilt and anxiety that make us unbalanced and trapped. This inner unrest will have an impact on your life – leaving a sense of unbalance which you feel very deeply. Using emotional freedom meditation can be an excellent way of overcoming this inner anxiety, leaving you feeling well and connected with your inner senses. Meditation is particularly valuable for physical and spiritual well-being as it gives your psyche, and senses, a chance to breathe and grow. Meditation requires being present in a moment, moving beyond the busy noise of everyday life. Our minds spend most of our days handling the thoughts thrown up by dealing with professional, personal and emotional situations, from choosing what to have for dinner to interpersonal interactions. There is little time to function on a deeper level which aids our own development. At these deeper levels of our subconscious, we find stored distress and pain. This is where emotional freedom meditation targets their interventions. These techniques support you to work through and release your unprocessed pain in a constructive and holistic way. This is important because if you don’t address the underlying pain left by your negative experiences then it will resurface again. The next time you experience it, it may be seen as insomnia, hostility, or anger. You may also feel fear about having that experience again. It’s simple and straightforward to incorporate emotional freedom meditation into your day. You don’t need huge meditation experience to find these techniques useful. You just need to have a quiet and relaxed space to sit in and have an awareness of the experience, or experiences, you would like to deal with. – A physical exploration of where you feel pain, and the extent of that pain. – Taking full account of the experience, what happened, and how you felt at that time. – Accepting your own responsibility in the situation and noting how others were not responsible for the situation, you were. – Once the situation has been shaped in your mind, considering how exactly the situation made you feel, what upset you. – Next, you releasing the way you feel away from your own thoughts in order to move on. – Finally, you move to sharing your new sense of calm, having internalised and forgiven negative thoughts. Then you are free to celebrate your new-found levity. If you have ever meditated before then you will understand the need for calm and peace before clearing and focusing your mind. You can begin your journey through your thoughts by finding a comfortable place to sit. Then close your eyes and choose to move through the thoughts of your mind in a natural way. There’s no prescribed way to do this; choose whatever emotional release meditation technique works for you. Once you feel calm and centred, begin to focus your mind on the matters you would like to address. You are going to be an observer on the situation. Keep your eyes closed while concentrating on this situation or experience. Choose one where you felt emotionally upset and try and put yourself back within that experience. Look beyond your own personal emotions and take the openness from your opening meditation to look upon what happened. Emotions are both a physical and mental experience. What emotions does that bring up? This is where you have the chance to truly take control of your own feelings about what happened. Take a moment to focus on exactly what upsets you about the situation. Then take this emotion and truly feel it within yourself and understand where on your body that pain manifests. You need to recognise it out loud and embrace your own feelings. This is the understanding which you will release as part of this emotional release meditation technique. A very important part of emotional healing is deciding how you interpret and move past your negative emotions. It’s time to take responsibility for yourself and what happens to you. You need move past blaming others for the pain you feel and instead own it within yourself. Hold that thought and explore how your physical body reacts to pain in your mind. Your internal emotions cause muscle contractions and other physical pain symptoms. It’s time to let that go. Breathe deeply and slowly as you work the pain you have summoned to your body and mind out of your system. With every breath, you move a step closer to emotional freedom as you release your pain as you exhale. Now you’re ready to release the pain. Spend as long as you need on this step of the process and consider other ways of visualising your pain. You could try writing your pain down and then burning the piece of paper as a way of moving past your negative thoughts and emotions. Congratulations! You’re well along the process to releasing negative emotions. It’s time to share your new joy and clarity with those connected to you – either in person or in your own thought processes. You can consider how you might speak to them if their actions were connected to your own personal pain. It’s important to remember the pain is yours, not theirs, though. Personal responsibility is very important for emotional healing. At this point, you’ve taken what was once a difficult and potentially blocking emotion and physical sensation and made it a positive part of your own self-understandings. Well done! That’s an important step to understanding and dissipating your emotional pain in an empowering way. Why not celebrate? That can be as big or as small an action as you please. That’s the basics of how to summon, dispel and move beyond your own emotions to achieve emotional clearance. There are a number of emotional release meditation techniques you can use to dispel negative emotions and achieve emotional clearance. These relaxed and refreshing techniques can quiet the voice of the inner critic and ease emotions caused by trauma. This very effective emotional release meditation method is easy to practice anywhere and comes to us compliments of Abraham-Hicks. Shifting statements works well for negativity. The idea is to shift to more positive feeling thoughts so that you instantly reduce stress and feel better. With practice, your thought patterns will naturally change for the better. You will be less stressed and more open to possibilities. A better feeling thought can be as simple as changing your language. For example, when you find yourself thinking or saying, “This situation is just terrible” change it to, “All right, we have a challenge here.” The new thought has to feel better than the old one, yet still ring true. Create an image that sends your negative feelings away. For example, imagine removing your fears and worries, and stuffing them in a suitcase. Give them a shape, texture, colour and even a sound before releasing them. Experience it as if it is really happening. These hands-on therapies can help with long-standing painful thoughts. These techniques are becoming increasingly popular because they can bring quick relief when dealing with emotional pain whether from yesterday or old past traumas. The Personal Peace Procedure is an EFT process for shifting limiting beliefs, painful thoughts, and healing negative emotions. Simply take ten minutes or so and make a long list of 50 or more memories that still disturb you. No memory is too big or too small. Rate the negative charge/feeling of each memory on a scale of 1-10, ten being terribly negative. Use a form of energy release meditation every day until you are through with your list. The ZPoint Process for Peace is an effective, gentle, relaxing energy flow technique that makes for a gentle guided process. Other emotional release meditation strategies, such as the Sedona Method, Be Set Free Fast, and the Tapas Acupressure Technique, are also effective. Practicing forgiveness can also improve one’s own sense of being. Forgiveness is vital for you to heal completely. The only person you poison with lack of forgiveness is yourself. Shift negative thoughts and emotions with gratitude. Gratitude may not sound like an emotional release technique, but it is actually quite effective alone or as part of another process. Catch your negative self-talk and quickly shift to thoughts of gratitude. You will be amazed at how much more peaceful you feel. This can be an effective emotional release strategy which relaxes the subconscious mind to support releasing painful thoughts. It asks you to move past beliefs that are limiting your ability to be yourself and replace them with positive affirmations and understandings. Keep in mind that releasing a lifetime of emotional pain, limiting beliefs and habits of negative thinking is not something you do once. Even when it only takes one time to release one specific memory, you may have many memories, feelings, and negative thinking patterns waiting to be addressed. Emotional release techniques play an important role in emotional and mental healing. Used faithfully, they offer healing for damaged emotions. They help you shift unproductive, painful thoughts and create a more positive mental attitude. You will have less stress and more joy and peace.